Tennis is a sport for a lifetime. It really is a game that you can enjoy long-term, both as a player and a spectator. Played all over the world on surfaces ranging from concrete to clay the game of tennis is exciting to watch and even more fun to play. 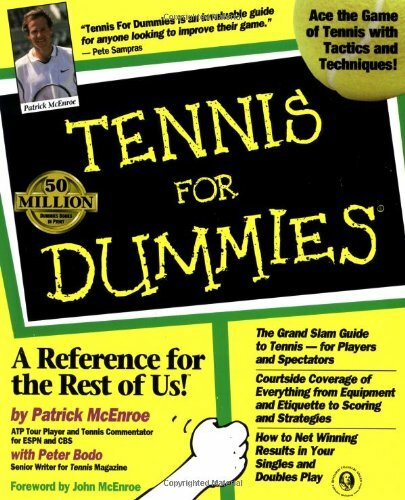 Whether you're an adult looking for a new challenge or a parent starting your kids off, Tennis For Dummies, 2nd Edition provides a terrific introduction to the sport. It doesn't matter if you're young or old, if you who want to start playing tennis, =this book can show you the way. If you're already into the game, you'll find out how to take your skills to the next level. 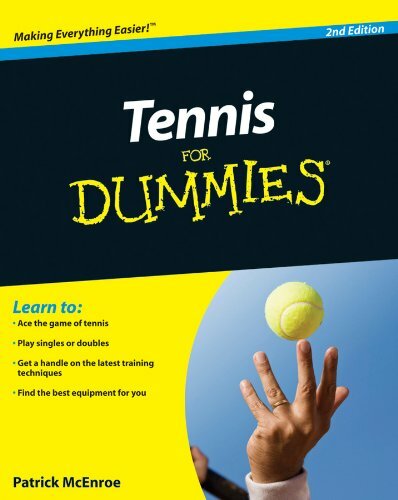 Whether you're interested in playing singles or doubles, on hard court or clay, Tennis For Dummies, 2nd Edition will inspire you to pick up a racket and get out on a court and play! About the Authors Patrick McEnroe is a top-ranking ATP tour singles and doubles player. He has earned 16 career titles, was selected to the Davis Cup team three times, and has competed in every Grand Slam tournament. When he's not playing professional tennis, McEnroe is a tennis commentator for ESPN and CBS. Peter Bodo is a senior writer for Tennis magazine and has covered professional tennis for more than 20 years. As an award-winning journalist, he has written two books about the sport and is an "Outdoors" columnist for the New York Times.